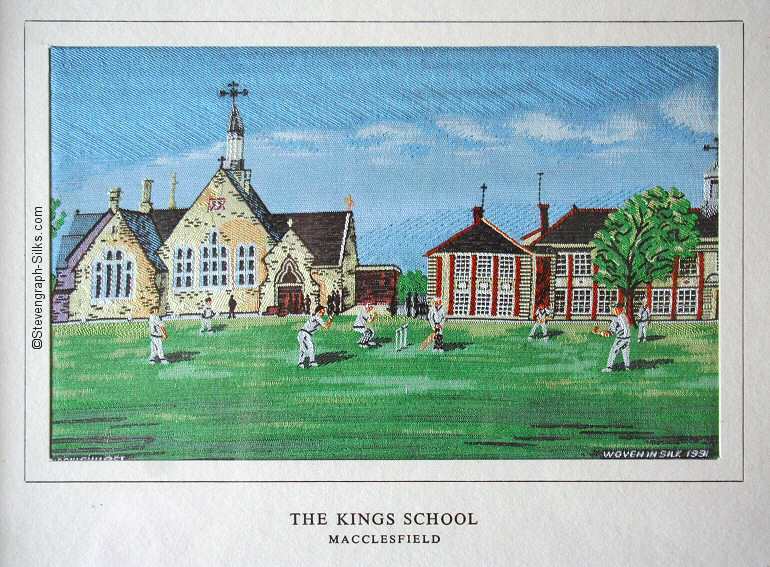 The Kings School in Macclesfield was founded in 1502 by Sir John Percyvale as a 'free grammer school, teaching there gentlemen's sons of town and country thereabouts'. The school was given its Royal Charter in 1552. It moved to its present site in 1855. Over the centuries numerous old boys joined the company and helped expand silk weaving and printing for which the town became famous. We come now to the 1991 issue - THE KINGS SCHOOL, which was the penultimate woven picture. Although the majority of collectors regard it as the final one, it was followed by The Pandas in 1992.